After breakfast the group took a bus across the city to visit Antoni Gaudi’s Sagrada Familia Basilica. The amazing façade of the building houses a modern interior full of light. Antoni Gaudí was born on 25 June 1852 and died on 10 June 1926. Gaudí’s work reflects his passions in life: architecture, nature, and religion. Gaudí integrated ceramics, stained glass, wrought iron into his buildings. We are so pleased that we visited it. It was a fitting conclusion to our Ignatian Camino. 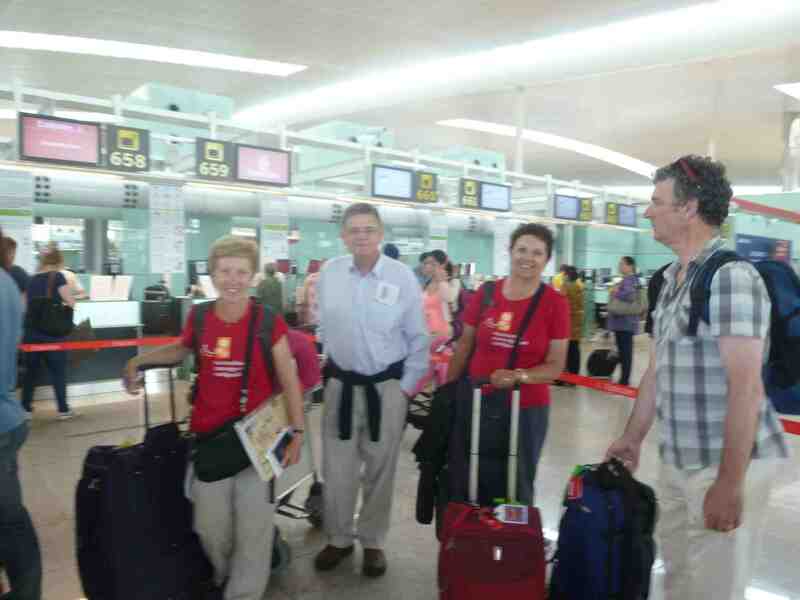 At 1.00pm a bus took us to Barcelona airport for our onward flight to Australia. We are nearly at the end of our amazing journey. We have become a pilgrim community, and experience has been transformative in many ways. If you have the opportunity to make the Camino Ignaciano, I hope you take it. Many blessings for a good journey back to Australia and a happy homecoming. See you soon. Thank you for allowing me to be with you in spirit as you all undertook an amazing journey. Have a safe trip home, and be gentle on yourselves as you readjust to everyday life.